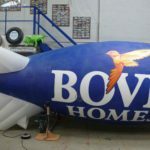 Use an airship-shaped advertising blimp to mark your site and draw attention to your business. 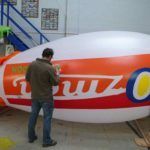 A popular alternative to blimp is an inflatable roof topper shape. 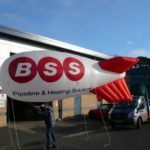 We can make roof toppers in a variety of shapes and, because they don’t fly, they don’t need helium or Civil Aviation Authority licences. 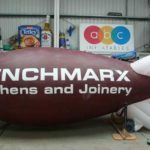 If you aren’t sure which would be best for your business, just give us a call on 01295 278600 and we will chat to you about your aims and your budget. 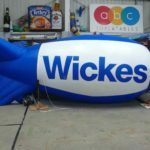 You’ll get a clear quote which explains our straightforward, reliable service so you know exactly what to expect. 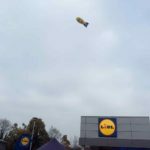 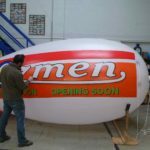 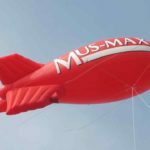 Both advertising blimps and inflatable roof toppers have a high visual impact and encourage customers to visit your premises. 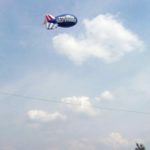 For a short-term promotion you could fly an advertising blimp above your premises and create an eye-catching effect. 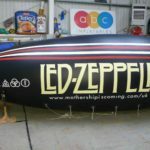 The classic Zeppelin shape is always popular but sometimes a hot air balloon shape is better as it gives you a bigger area for your logo or message. 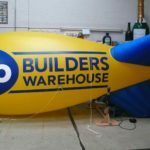 The advantage of a rooftop inflatable is that you fill it with air from a constantly running fan blower. 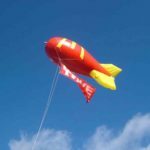 This is a far cheaper choice than a floating, helium filled inflatable and it still has a huge impact. 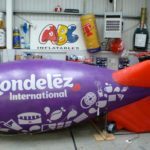 You can keep your site marking inflatable in place all year round because it has no on-cost other than a little electricity to power the mains operated fan blower or optional internal lighting system. 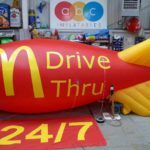 You can also order interchangeable banners for your inflatable so you can quickly and economically update your marketing messages. 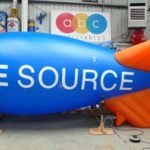 Would your business would benefit from the extra attention that a flying blimp or hot air balloon? 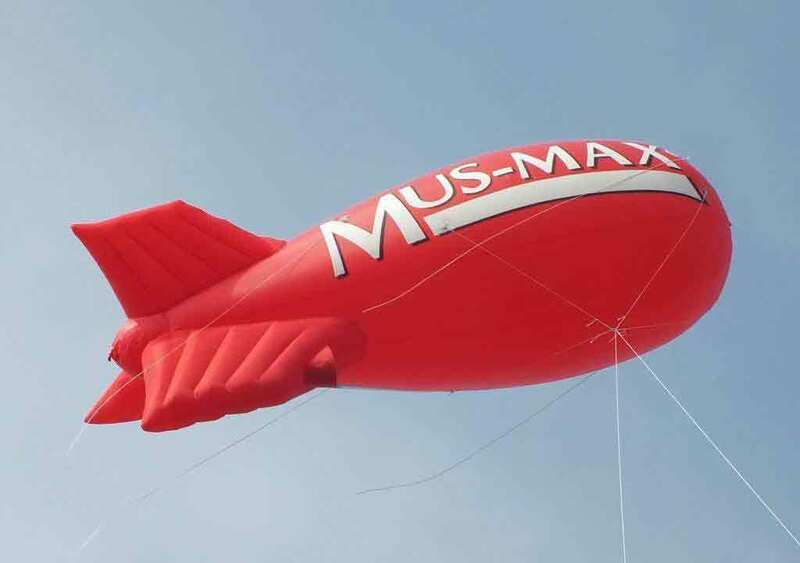 Or would you prefer the benefits of a rooftop balloon? 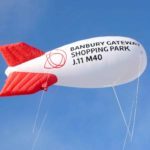 Why not give us a call on 01295 278600 or or email us to chat about your project? 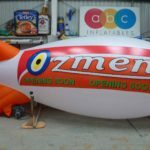 We also offer blimp hire if you aren’t yet ready to buy one. 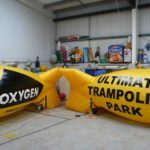 You might also like to hire one of our giant inflatable animals as a fun alternative to the more traditional options.